When I was growing up in Southampton in the 1950s three prominent family members were my Auntie Gertie, uncle Harry and uncle Wilfred. I lost contact with them but I have recently re-established contact with my father's side of the family, and this has helped me to find out more about them. I am also very grateful to relatives in Australia who have shared memories, and Marion, a good friend to the family in later years, who has been able to give me some very interesting documentary evidence. I am pushing my 'hundred years' rule to the limit because of the interesting nature of my discoveries. 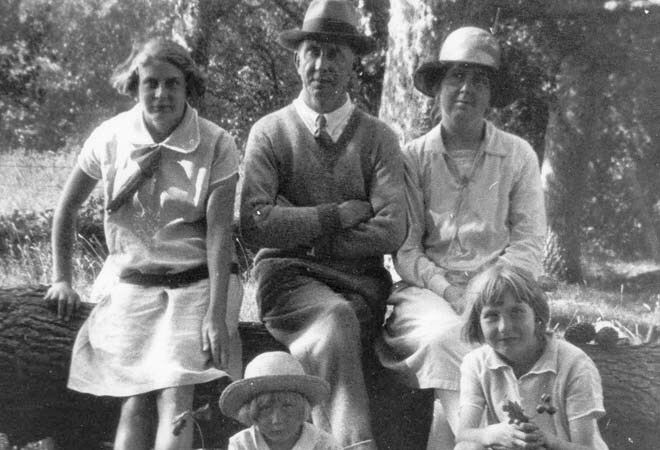 Auntie Gertie was Eva Gertrude BELL, born in 1889, the younger sister of my grandmother Eleanor Florence. As I have established on my Bell family page there were thirteen children growing up in a small cottage, which must have been quite a strong incentive for Auntie Gertie to move out as soon as possible. Although I have no evidence for this, it seems likely that as soon as she was old enough to work she went in to service - one record refers to her as 'governess'. In May 1905, within a month of her sixteenth birthday, she was living in Highcliff on Sea on the Dorset coast, some twenty two miles from her family home, when she was cited in the High Courts as having committed adultery with Henry Cecil BEASLEY, born 1869 and therefore twenty years her senior, a medical doctor with a military background. The 1911 census has Henry Cecil and Auntie Gertie married and living in Ramsgate, Kent, with their children Wilfred born 1906 (who would be my uncle Wilfred) and Aileen Kemps BEASLEY born 1911. The recorded ages of Henry Cecil and Auntie Gertie in this census are seriously different to other records, but everything else tallies. 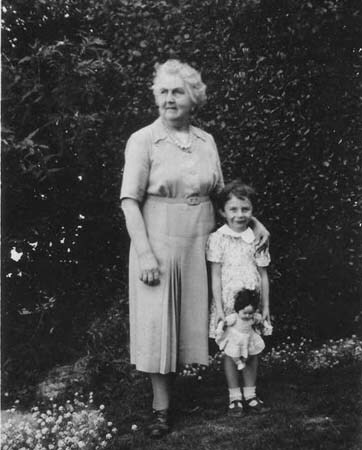 Later records suggest that there was a Beatrice Maud born 1912. At this point my 'hundred years' rule kicks in, so I am constrained to write in generalities. 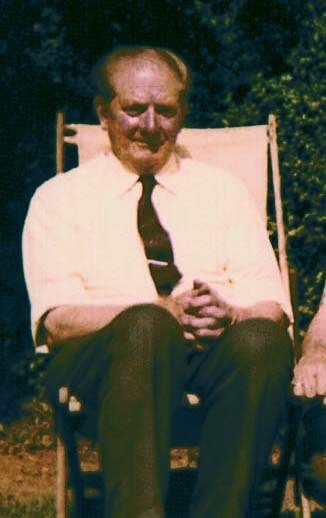 My uncle Harry was actually Christened Henry, born in 1917, The name Harry was only used within the family. There were two more daughters. One settled in Yorkshire. I have little definitive information about Auntie Gertie's later life. By the time I was around she seems to have been living on the western edge of Hedge End, at that time a village, now a small town to the East of Southampton. Harry and Wilfred lived at the same address with her at various times. The garden of the house extended into a smallholding which they worked. Auntie Gertie and Wilfred are buried in Hedge End Cemetery. Some years after retirement Harry moved to Yorkshire, where he died. Henry Cecil BEASLEY may have come from a family of doctors. There several entries under the name of Henry BEASLEY in Google Books from around 1850, including 'The Book of Prescriptions' which is available as a free download although I haven't proved the connection. In 1927 Henry Cecil was mentioned in a newspaper article as having given medical assistance when a nurse was killed in the explosion of a live shell at Lulworth. At that time he was Captain H.C. BEASLEY, R.A.M.C. M. O. i/c Gunnery School Royal Tank Corps, West Lulworth - I have documentary proof that this is correct. After that family memories and official records were severely in conflict. My mother thought that he went to Africa as a missionary and died there. On the other hand, his family in Australia were certain that he was a doctor in practice in the UK right up to his death. 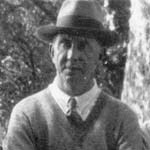 UK Medical Registers for 1859-1959 have him registered as a practicing GP at a variety of addresses from 1899 until 1951, when he would have been about 82 - from 1939 to 1951 his address is given as Shoeburyness, Essex. 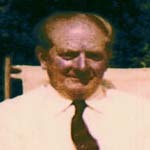 The available BMA records are incomplete, and there was a suggestion that in those days the register was merely copied from the previous year unless a Doctor submitted new information, so all this would tell us was that Henry was a working doctor around 1939, when he would have been aged 70. The question was answered when Jackie found an entry in Beatrice's diary which had Henry's death recorded as December 1936. From this I was able to trace the record of his death to Rochford, Essex, the local record office for both Shoeburyness and Southend on Sea. Tragically he died suddenly on Christmas Eve 1936. This would confirm his family's suggestion that he had returned to general practice after his spell working with the military. It makes sense that he had registered with the BMA before he died, and his death was never communicated to the BMA. Uncle Harry, always Henry to anyone outside his family and close friends, was a Leading Aircraftman based at RAF Tangmere near Chichester in West Sussex, now the home of the Tangmere Military Aviation Museum - I don't have a definitive date but assume that this was during World War II. Later he was a science teacher in Southampton with a hobby of photography. Some years after his retirement he moved to Yorkshire, where stayed until his death. 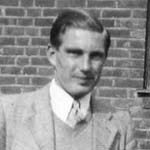 The family story is that Wilfred was a respected engineer, whose work included designing the propeller for an important World War 2 aeroplane. I now have a number of documents which tie in with this. From school he took up a premium apprenticeship at Vickers-Armstrong Supermarine works in Southampton and became a production engineer there. This factory produced (amongst other aircraft) the famous Spitfire, correctly known as the Supermarine Spitfire. The works were bombed out in September 1939, and he moved to General Aircraft limited at their works at Hanworth, near Feltham, a base for the repair of Spitfires. In January 1947 he returned to Vickers-Armstrong in a more senior position. This lasted less than a year before he was made redundant because of cuts in government orders. 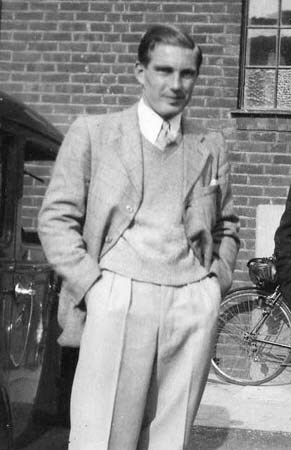 He worked for Vickers-Armstrong again, at their Baginton Coventry works, from 1950 to 1955. In 1955 he took up a new job at Air Service Training in Hamble near Southampton. My childhood memories are that Wilfred was regularly present at family gatherings in Southampton during the time he was working in Coventry. 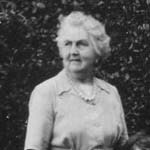 Beatrice Maud BEASLEY married and later emigrated to Australia where her family still lives. If anyone has any more information, especially about uncle Wilfred Beasley and his war work, please get in touch. If any relative is uncomfortable with what I have written please let me know. My thanks to Jennifer Woods, Jackie Batty, and Marion Smith who have shared photographs and information with me.